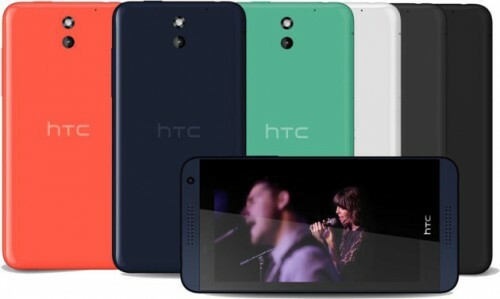 The HTC Desire 816 was announced in February 2014 and expected to release in March. This will be a GSM device that takes a nano-sim card. The Desire 816 will be released in black, white, red, gray, and green. Unfortuntaely there’s no confirmation on what Android OS it will be running yet, but it’s a safe bet that it’ll either be Jellybean or Kit Kat. And of course, you’ll get the standard features: bluetooth, wi-fi, portable hot spot and NFC. The Desire 816 features a 5.5″ capacitive touch screen with multi-point HTC Sense UI v5.5. This is an 8GB device, which is expandable up to 64GB with a micro SD card, and 1.5GB RAM. It will also have a 13MP camera with LED flash and HDR producing vivid pictures and a front-facing 5MP camera. This device also carries a 1080p HD video camcorder with a 720p front-facing camcorder. LG has built the device with Qualcomm Snapdragon quad-core, 1.6 GHz processor with Adreno 305 for fast browsing speeds and impressive gaming interface. Like most HTC devices, this one will also have a non-removable Li-Ion battery. No confirmation yet on how long this battery will last, but it is a 2600 mAh battery so you can expect it to last you long enough! Unlock Your HTC Device Today!